So what is a functional movement? Are you aware of how functional you are with your current training? How high would you rate your current strength program in terms of its functional value? If you’re not 100% sure how to go about answering these questions then this article is going to help you. Functional strength and function in general is somewhat of a subjective thing, however I’m going to help you to identify some of that value here in this article. In fact, I’ve even come up with a rating system for the following movements listed here. 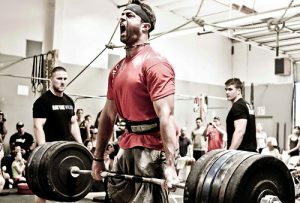 The deadlift is obviously a very effective lift for helping you to build total functional strength. I rank the deadlift at a solid 8 because it integrates several key muscles in the body all while promoting the development of your pillar/core stability when doing so. Additionally deadlifts are great for building you a strong powerful back, strong posterior muscles including hips and glutes, and a solid grip that can translate well into physical work and sports competition. The deadlift is also a versatile lift for you meaning that you can vary it by utilizing different implements ranging from barbells, to kettlebells, sandbags, and even logs. The functional value of the deadlift movement is high because it largely involves a great deal of hip activation which recruits some of the biggest and most powerful muscles in the human body. The walkout push-up is a unique bodyweight strength drill and I often get some funny looks when I rank it as a 10 in terms of its functional value. Now having said that it doesn’t take long to change someone’s mind about this movement once they try it. If you’ve never performed a walkout push up this is definitely one that will present a bit of a new and unique challenge to you. Sure the standard push up exercise is wonderful, but to me I believe the walkout push up just adds in a couple of more variables that you won’t necessarily get with the standard push up exercise. The walkout push up is performed by you standing with your feet hip width apart. From here you must descend down into a squat before placing your hands on the ground to walkout extending your body horizontally along the ground bringing your body into an upright push up position. Once in the the upright position you execute a standard push up and then continue to walk back on your hands bringing your body back into that descended squat position before standing all the way back up again. As you can see this movement possesses a more animalistic nature to it in terms of how it looks and how you must go about performing it. The squat is obviously a nice addition to this move along with the movement on your hands when walking your body out into the horizontal push up position. Also there is more to this walking out portion than meets the eye. For starters, when you place your hands on the ground you want to make sure to flare your fingers apart. I’ve often been puzzled at times, but some people will tend to close their fingers together when placing their hands on the ground to do push ups, or to crawl. I’ve also noticed that people will tend to rotate at the wrist turning their hands out at times. This is a sign of weak and/or tight wrists. This crawling element of the walkout push up is a great way to improve that area of weakness. Additionally when crawling out I always cue my trainees to grip the ground with the palm of their hand as if they’re palming a giant basketball. This forces them to place their hands on the ground during the crawl and push up portion of the movement with intention and purpose. I always tell them to imagine a lion stalking its prey. The cat moves its paws carefully along the ground feeling the ground beneath its paws when stalking. This is the same thing you should do when performing the walkout push up. This sort of intention will activate several muscles originating out from the hands and will power your arms, shoulders, and core when guiding yourself through the movement. This movement very much represents the movement of a cat and we all know cats move better than all of us so this is why I give this one a functional value of 10. I don’t think any of us would argue as to the significance of performing farmer’s walks. Farmer’s walks, or carries are tremendous in helping you to build a rock solid pillar and midsection for reinforcing spinal stability. You use them practically every day—such as when you carry groceries from your car into your house. Additionally, this movement is going to help you to build an iron grip which translates well into any scenario where you need to display athletic function. The grip strength for this movement is significant for shoulder stability as well. A stronger grip will enhance your shoulder girdle stability. I can prove it to you right now. As you’re reading this extend your arm out in front of you. Now make a fist…and I mean white knuckle clinch your fist creating maximum tension. You’ll feel that muscular tension run from your hand all the way up your forearm and into your shoulder right away. The kinetic chain is linked so when you perform farmer’s walks the same thing is happening to you on a big scale. As you perform the farmer’s walks you should also focus on maintaining a good posture with your shoulders and spine in order to stabilize your body when walking along with the weight. Additionally you want to keep the weights off of your sides as you walk along. This forces you to exert greater control over the carry while producing a higher level of total body tension. There is a reason world strongmen utilize this movement in training and competition. The farmer’s walk is a huge movement in training total body function and strength. The farmer’s walks earn the functional value of 9 for this reason. In closing if you’re not sure as to how to rank the level of function involved in your current training program then this article is a good place to start. This should go without saying, but make sure that whatever movement you are performing that you’re doing so with purpose and intention. Add in movements that challenge your body as a whole and that can directly apply to real life scenarios. Are you currently utilizing functional sound strength movements in your training? Are you confident in your functional strength ability? Post up and share some of your favorite functional strength moves in the comment section below—and we’ll send you FREE SGPT STICKERS! If you need help with improving your current strength program and optimizing more functional movement make sure to visit me at my website, Brandon Richey Fitness. Want to up your own game? 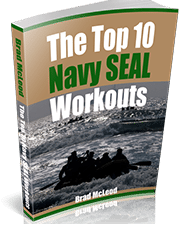 Get SEALGrinderPT’s 90 Day MMA Strength And Conditioning Program! 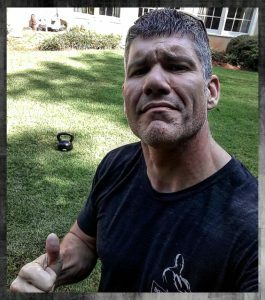 90-Day Strength and Conditioning Program for MMA athletes was developed by Brandon Richey of Brandon Richey Fitness for SEALGrinderPT. This amazing program is also perfect for anyone training in kickboxing, Muay Thai, Jujitsu, combat fighting—or anyone wanting a high-level training program! Click on the banner below and GET STARTED! Stay on top of your nutrition, even on days when you can’t eat as clean as you want, with Athletic Greens! It’s the favorite product here in the SEALGrinderPT Underground Bunker to make sure we stay fueled, healthy and ready to meet any challenge that drops in our path. ANSWER: While having good upper body strength is needed for pull-ups, your hand strength is almost more important because you can only go as long as they’ll let you. We’ve put together an article full of great tips about how you can improve your grip strength. 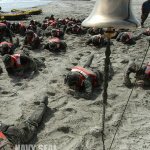 QUESTION: Hi Coach–I really want to be a Navy SEAL and someone told me about your site and I’ve been trying the workouts you post every day. But nobody even my family thinks I can make it. It’s getting hard to keep thinking I can. Do you have any tips to keep me going to that goal? ANSWER: A lot of people didn’t think I could make it through BUDs either and I didn’t the first time I went through and they sure didn’t think I’d make it the second time but I did. It doesn’t matter what anyone else thinks you can do. It comes down to what you believe you can do. 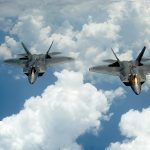 Check out my article here that also has a link to an audio called Sharpening the Sword. 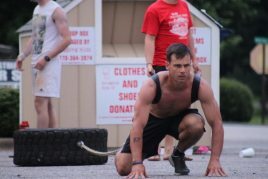 Also check out this article, Navy SEAL BUDs PST Tips and how I made it through Hell Week twice. Always feel free to hit me up with any training questions you have. My 3 go to functional movements are back squat, deadlift and any weighted carry. I’d also have pull ups as a close 4th…. That being said I will be adding the walkout push up into my training!!! Hey Jay that’s a solid selection for functional strength. I’m excited to hear you’re going to be throwing in the walkout push-ups! Please keep me posted on that and let me know how you like those! Stay strong!